2. Suitable to be applied for such functions as bending, deforming, rectifying, modeling or for bearing and gear shaft arbor getting pressed in or enforcing out. 3. Suitable for large-sized vehicles, ships, or steel/iron industries, agricultural machinery, mining machinery, etc. 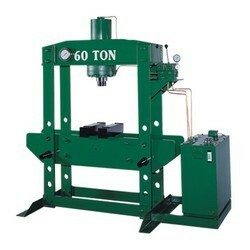 Best helper to the production and repair of work pieces of big sizes. 4. 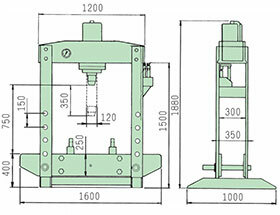 Electric hydraulic press is equipped with dual-speed high/low pressure: The operation is quick and convenient. Also, pressure safety valve is also equipped. When pressure exceeds what it is supposed to be, it will release pressure automatically. The operation is quite safe, quick and convenient.